The Centrepoint has undergone a revamp with the introduction of a F&B cluster on level 1 and 2 of the mall. 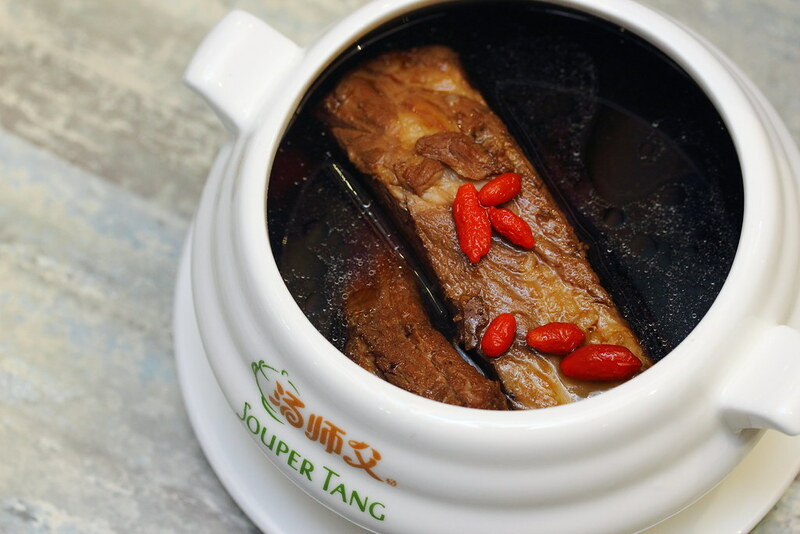 With the revamp, the popular Malaysian restaurant, Souper Tang (汤师父) has moved in and opened its very first international outlet in Singapore. Singaporean should be familiar with the brand which has 18 outlets in Malaysia. With their foundation and knowledge of chinese herbs due to the owners' expertise in the Chinese medical hall business, Souper Tang has created a delectable menu incorporating the benefits of Chinese herbs, changing the perception that the use of herbs in cooking can be a bitter pill to swallow. 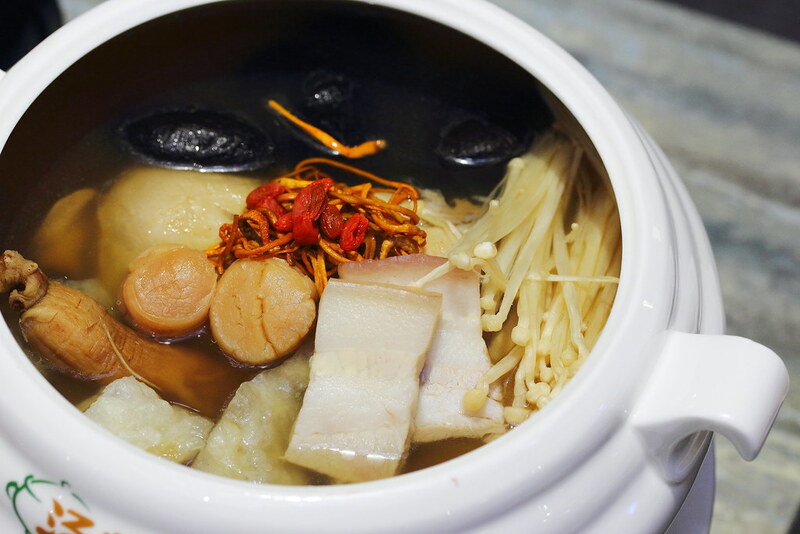 The Souper Tang Signature Soup ($26.90 for 2pax / $39.90 for 4pax) is cooked together with conpoy, mushrooms, American ginseng, ginseng root, fish maw and chicken. Surprising the soup itself turned out to be sweet with a very subtle bitterness at the back of the tongue. It lifts up to the founders' commitment to change diners perception that the use of herbs can be a bitter pill to swallow. 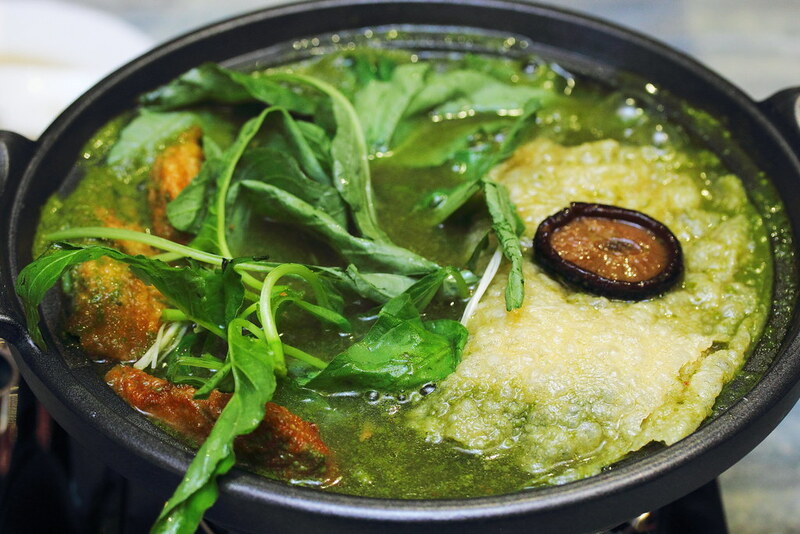 The Shi Quan - The 10 Herbs Soup ($13.90) comes with spare ribs. I find the soup a bit acquire in taste with its richness. I find it a bit hard to finish the bowl on myself. However the spare ribs was so tender that it fell off the bone with ease. I would highly recommend having the Mee Suah Tossed in Abalone Sauce ($3.90). The bowl of noodle may look rather plain but you will be very surprise how this simple bowl of noodle is bursting with beautiful flavours. 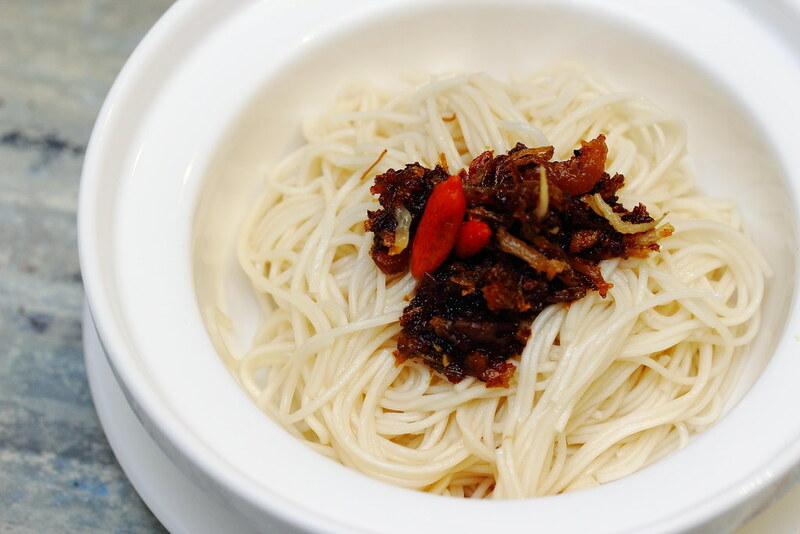 The highlight has to be homemade XO sauce and abalone sauce that complement the supreme texture of the mee suah. 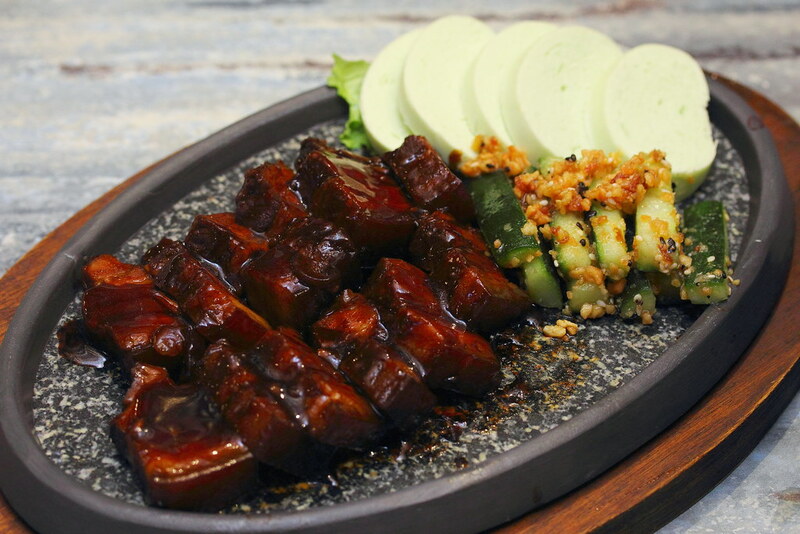 The Homemade Braised Pork in Rich Dark Sauce ($18.90) is a comforting dish that will be well liked by the local. The pork belly is well braised, infused with the delicious dark sauce. 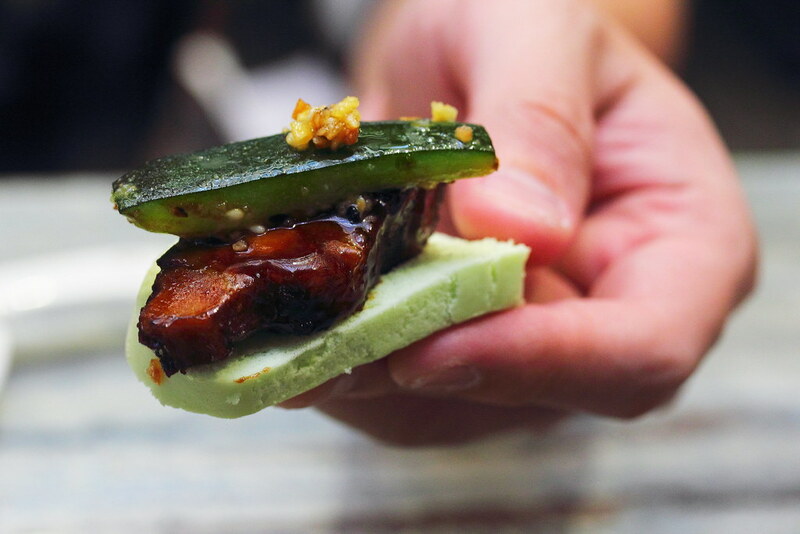 I would recommend having it together with the spinach mantou and cucumber for a more balanced appreciation. A homely dish that I enjoyed a lot is the Stir Fried French Beans with Pu Er ($11.90). 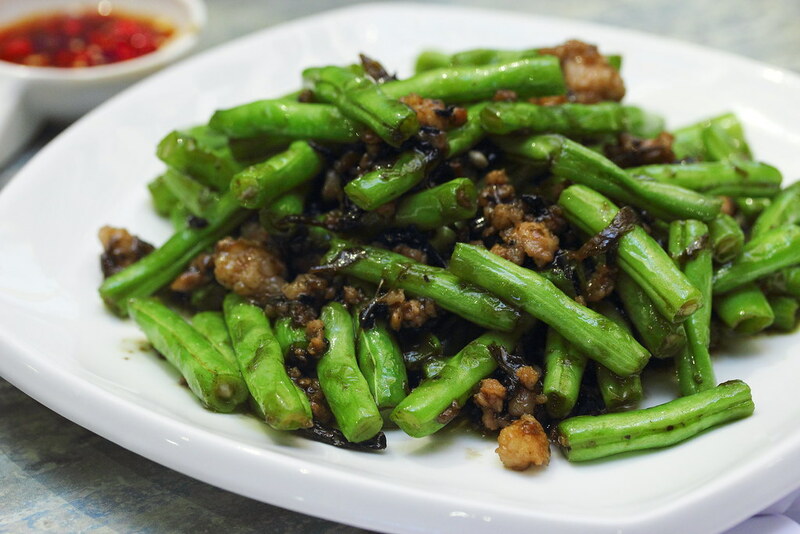 The french beans are cooked to a nice crunchy bite complemented by the minced pork and pu er tea. Initially I thought it was preserved olive but it turned out to be pu er tea. It was a pleasant surprise. The Signature Souper Pesto Pot ($25.90 for 2-3pax) has to be the first in Singapore. Vegetarian lovers will be delighted with the pesto soup and variety of vegetables. The pesto soup is made up of pesto mix of green vegetables, basil, mint, daun kesom, pine nuts etc. This is indeed an extremely healthy hotpot. 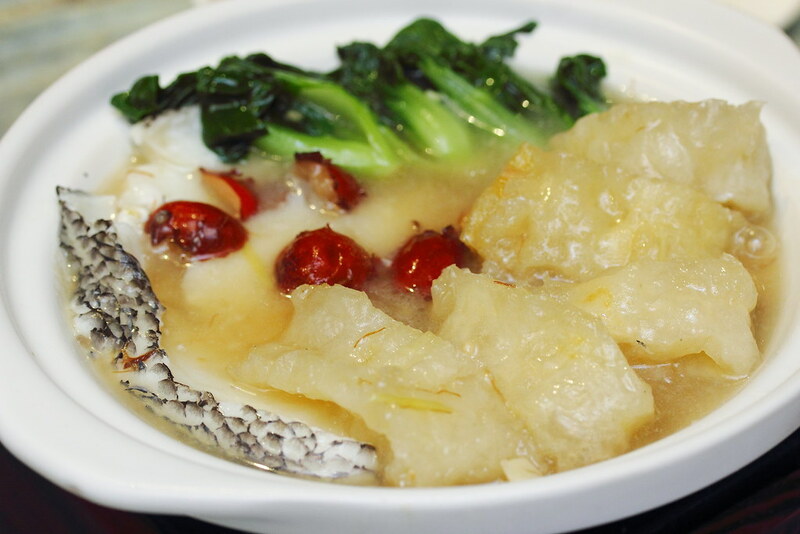 Rich in nutritious is the Claypot Atlantic Codfish Maw ($29.90) that comes with a whole codfish fillet delicately braised in a rich seafood stock with fish maw, red dates and nai bai. This is a sumptuous pot of delicacy and the price is quite reasonable. 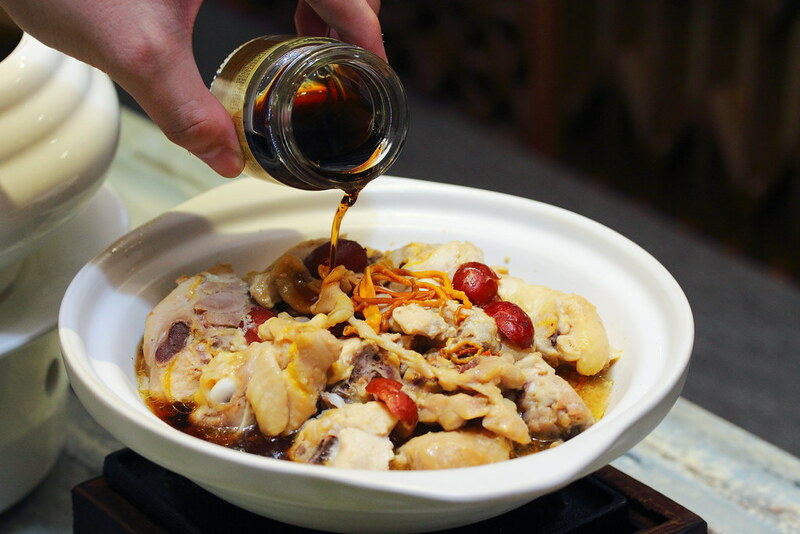 The Stewed Chicken Cordyceps Flower and Essence of Chicken ($19.90) uses free range chicken cooked with ginger, goji berry and red dates. It is finished with a bottle of chicken essence to elevate the flavour. For dessert there is the Homemade Beancurd Pudding ($3.50) which is served chilled. Diners have a choice between the caramel sauce or ginger sauce. 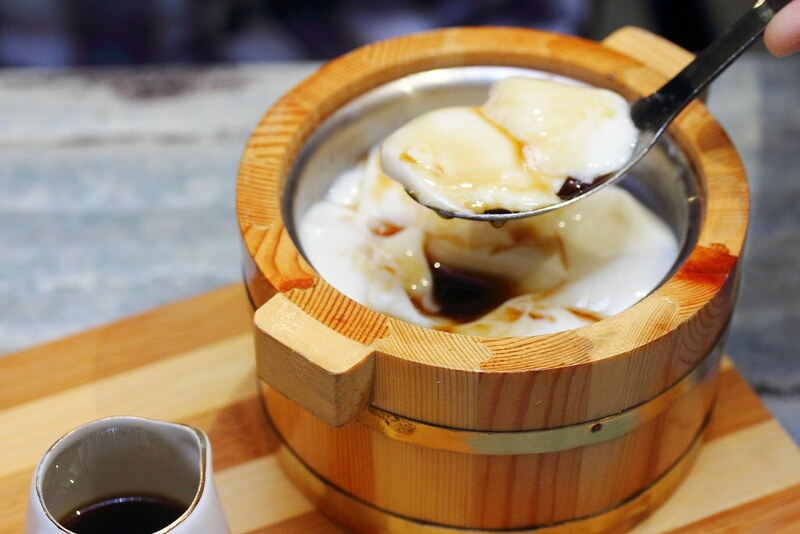 I would recommend going for the caramel sauce which goes better with the silky smooth beancurd pudding. 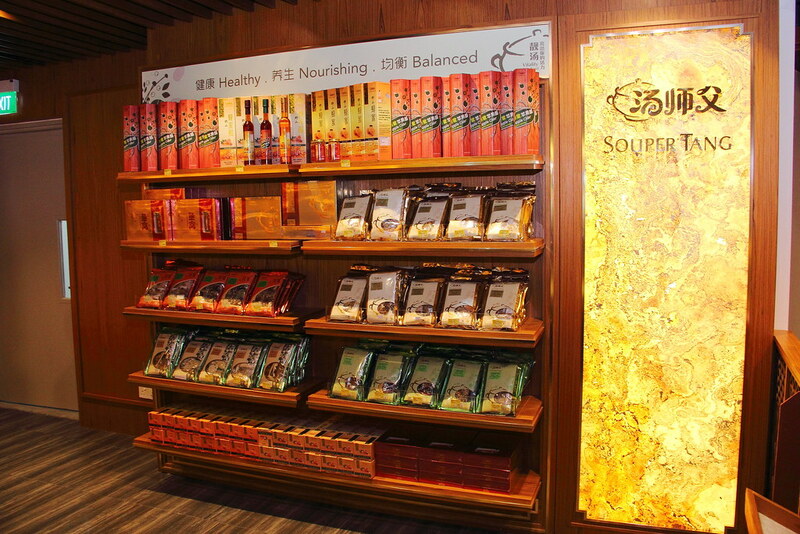 Souper Tang also ha a retail corner at the restaurant selling its own quality products. 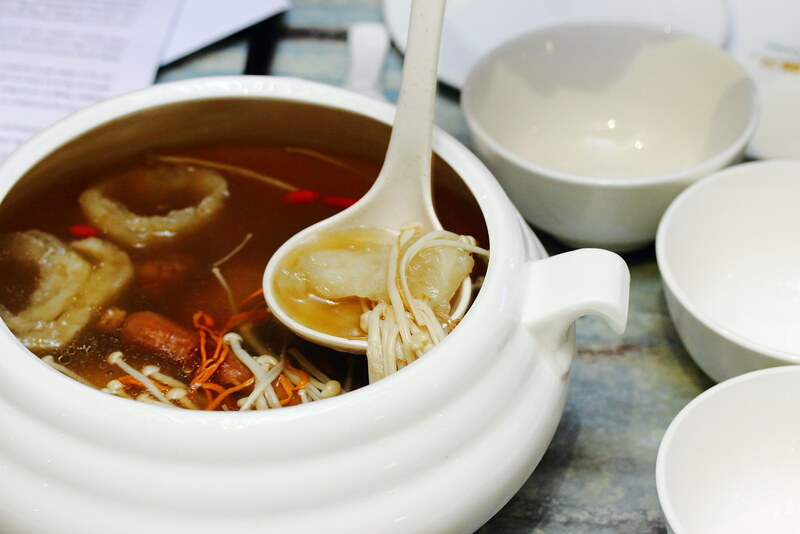 Customers may purchase pre-packed herbs for soups, floral teas, bottled essence of chicken and bird's nest with white fungus, canned seafood such as abalone, clam and topshell, as well as bottled wild honey, honey vinegar and apple vinegar.